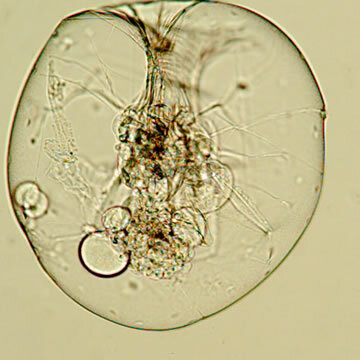 Image from An Image-Based Key To The Zooplankton Of North America. The Species A. herrickii has been reported (or is assumed) to occur in fresh waters. This taxon has been reported from North America. Asplanchna herrickii, "AFR, AUS, NEA, NEO, ORI, PAL" (Segers, 2007). Edmondson, W.T. 1959. Rotifera. [in] W.T. Edmondson (ed.). Ward & Whipple Fresh-Water Biology, 2nd edition: 420-494.